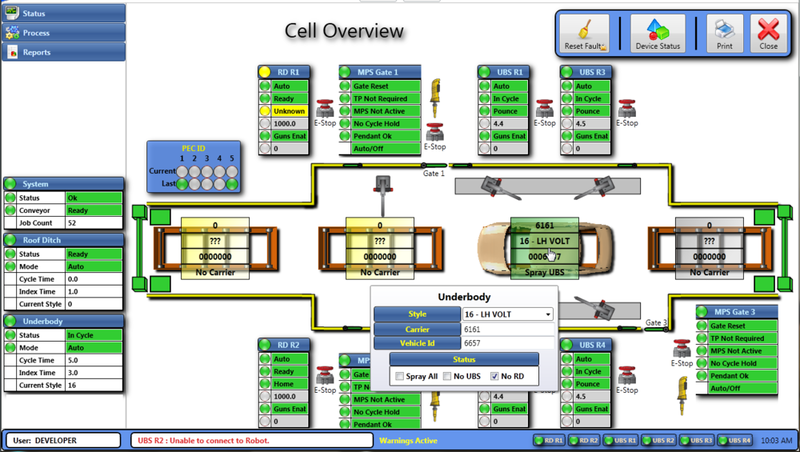 A PC-Based GUI (Graphical User Interface) for complete system control that can be integrated on new robot systems, or retrofitted to older existing systems. We designed POWERPAINT to be an intuitive object-based operator interface that is IIoT (Industrial Internet of Things) friendly, and ready to interface into your manufacturing plant information systems. POWERPAINT is designed in the Windows Presentation Foundation (WPF) is a user interface development environment. 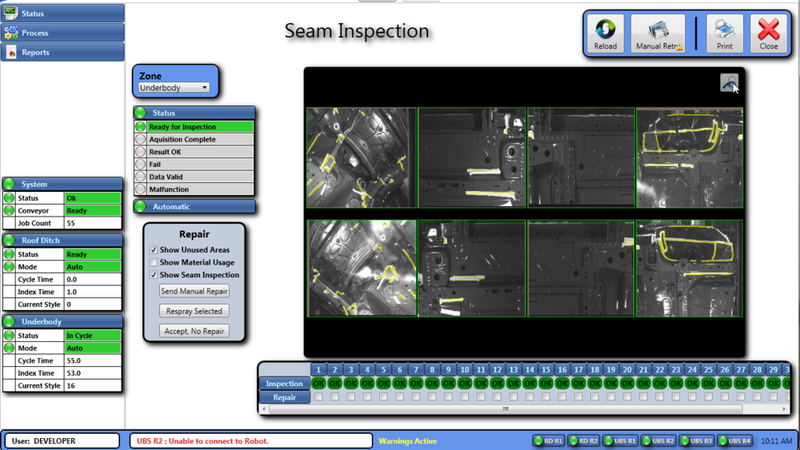 This advanced environment provides access to more advanced visuals, such as interfaces that incorporate documents, media, two- and three-dimensional graphics, animations, Web-like characteristics, and more. For a general overview, see Introducing Windows Presentation Foundation. Storing data in objects allows for intuitive data display that you can move and "pop-up" as needed. Instead of having a heavy-menu-driven, we design a multi-window experience, to allow users to focus on only the important information they need at one time. We have implemented the PC Based POWERPAINT system in large automotive manufacturers and general industrial plants, each with their own security protocols for PC Based Applications.